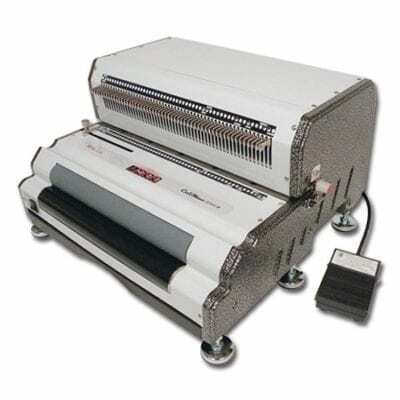 CoilMac-EPI Heavy-Duty Electric Coil Punch and Inserter With its heavy duty punch motor, built-in electric coil inserter and unequaled functionality, Akiles CoilMac-EPI makes coil binding fast and professional. An ideal solution for commercial volume workloads, the electric coil inserter allows hands-free operation and complete control of roller. U-Shaped Alignment Channel aides in conforming the spine of larger diameter documents to the coil’s shape, for faster and easier insertion.